Manali has always been one of the top tourist destinations because of its natural beauty and serenity. It is one of those places in the north of India that is endowed with everything ranging from cliffs filled with snow to waterfalls to calm forests to exciting shopping places and much more. It has something to offer to everyone. Manali also has some really famous cafes where you can sit for long hours with your book while sipping your hot cup of lemon tea. Additionally, there are interesting restaurants with amazing finger-licking food. So, if you are planning a vacation to Manali this year, you are bound to have a great time. However, there is so much to see and explore in the city that you might get confused on what all to cover in a 4-day trip. Searching the web for the most popular places are likely to confuse you even further given the plethora of possible options that the web will suggest you. This is precisely why we have created this perfect list so that you do not need to look elsewhere and you can choose any of the places from this list to guarantee a relaxing and fun trip to this hill station. Now, without further ado, let’s check out the 20 best places to visit in Manali! 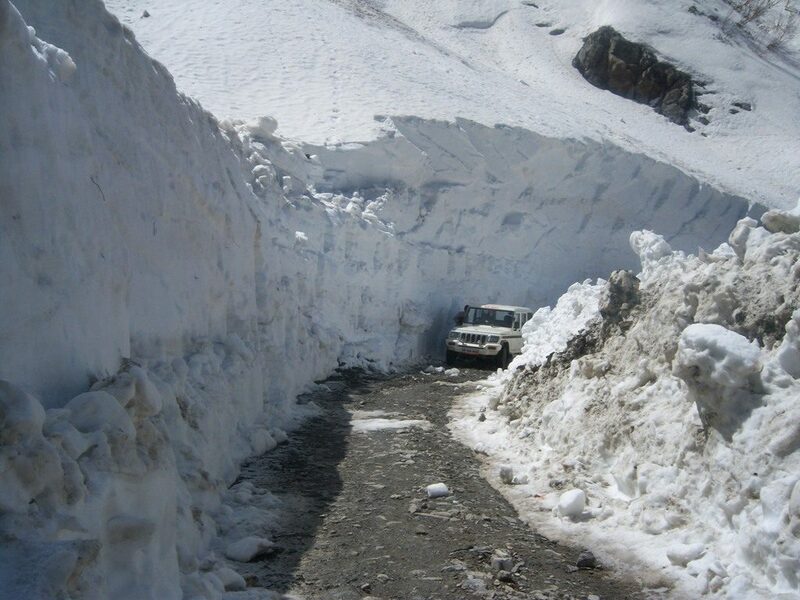 Rohtang Pass can easily be referred to as one of the most popular and the most visited tourist attraction in Manali. It is a paradise and a heavenly place for nature lovers as it encompasses everything good that comes from nature. Being in Rohtang Pass is like being surrounded by nature at its best and letting the crisp air, the snow-clad mountains, and the undeniable beauty engulf you in its midst. It is also an ideal place for all adventure seekers who look for nothing but a healthy dose of adrenaline on their trips. If you are an avid photographer, visiting Rohtang Pass would be a dream come true for you. In addition to that, mountain lovers are bound to have a lot of fun here. Solang Valley is another popular tourist attraction in the city of Manali. It is a delight for adventure lovers, and there is a wide range of adventure sports as well as activities that you can enjoy in the place. These activities can challenge you, thrill you and give you a rush like nothing else. Hadimba temple is an interesting tourist attraction both of its mythical significance and architecture. The temple is dedicated to Bhima’s wife from Mahabharata who is also known as the goddess of demons. 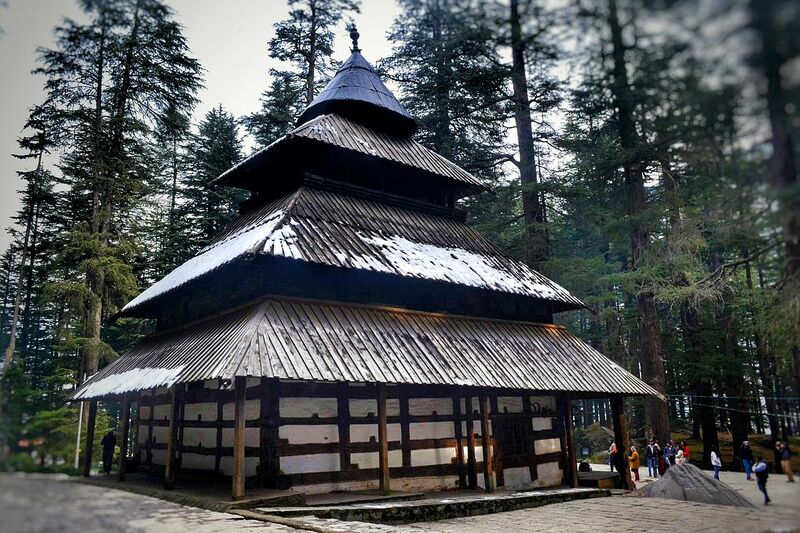 This temple was built in the year 1553 and is one of the finest architectures in Manali with stonework and wood. The design is inspired by Indian temple style architecture as well as Japanese pagodas. The best part about this temple is that it is in the middle of a forest covered with Cedar trees. The doors of this temple have beautiful wooden carvings and a Shikhar of 24 meters. You can definitely visit this temple to enjoy some calmness and serenity in the middle of an amazing forest. You can carry a picnic basket and spend your whole day there or spend a few hours in the temple vicinity. You can choose how much time you want to spend there. But you must not skip this spot. It is unique, and you won’t find this picturesque beauty anywhere else. Arjun Gufa is one of the most offbeat places around Manali. Only 5 km away, you can easily take a bus to reach this must-visit tourist destination. Prini, a village situated near Arjun Gufa is also an amazing place that must be explored for its natural beauty. Arjun Gufa can easily be called as one of the most popular and major tourist attractions in the area. This place is linked to the Indian mythology of Mahabharata. Tourists have referred to this place as remarkable. It offers stunning and mesmerizing views of valleys and hills if you take an excursion of just half a day there. Arjun Gufa is known for its grandeur and natural beauty. The best time to visit this place is from September to October and April to June. If you are looking to enjoy a more touristy side of Manali and want to check out the markets, you need to cross the Manalsu river. 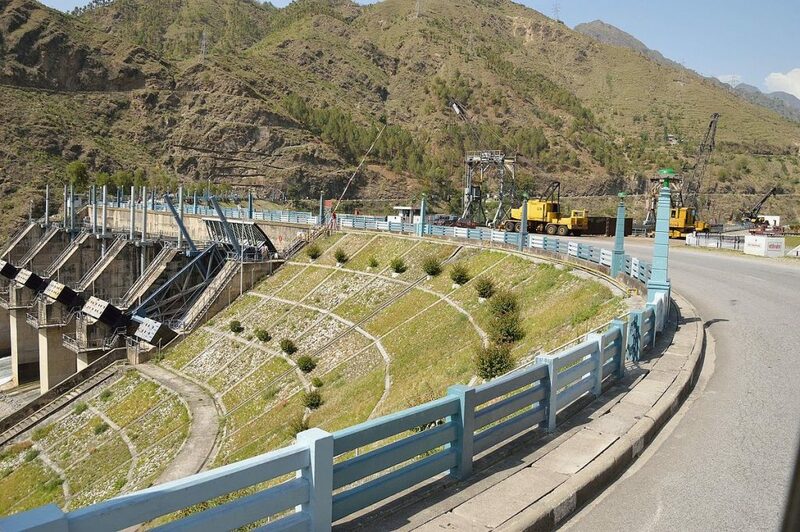 After you take the bridge to cross the river, you will reach Old Manali. This village is so charming that it will take your breath away. It will definitely make you feel that you have time traveled. Old Manali is a good mix of everything that a traveler looks forward to when visiting a new place. It has the traditional relics, the hippie vibe, and everything that you wish to see when you are traveling. The greenery will take your breath away. The pathways in this area are lined with Eucalyptus trees along with small valleys. It is just amazing to take a walk around this place. You will hear the birds chirping, and the wind making sounds in the forest. Apart from nature, you also get some cool cafes here. Some of them are Cafe 1947, the Lazy Dog Cafe, Red House Cafe and much more. So, if you are in Manali, you should definitely keep one day aside for your Old Manali visit. Nehru Kund is another exciting option for you when you visit Manali. This place complements its surroundings exceedingly well with nature all around it. This stunning water source or Kund is located at the Manali-Keylong road, and it has been named after Jawaharlal Nehru, the first Prime Minister of India who habitually drank water from this spring every time he was staying in Manali. The water of Nehru Kund is famous for its amazing taste and clarity. Picturesque mountains surround the lake, and the entire atmosphere of this place is amazingly relaxing and stunning. Manali Gompa is another fine attraction in the city of Manali. 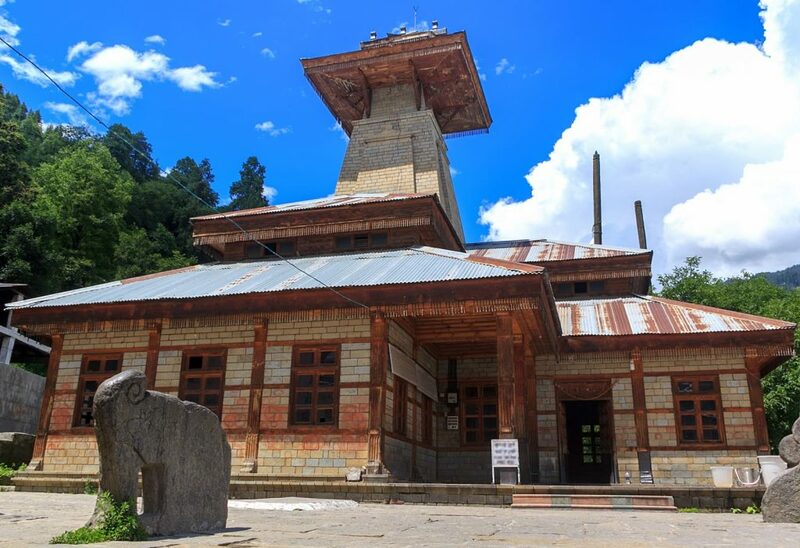 It was built by Tibetan refugees in 1960 and is also called the “Gadhan Thekchhokling Gompa.” It is a renowned and well-known Buddhist monastery in Manali. It is a very prominent monastery and although small in size, the spiritual energy it offers is boundless. A plethora of tourists from all parts of India and abroad visit the Manali Gompa in search of spirituality and to seek the blessings of this divine place. The facade of this monastery is incredibly majestic and possesses a yellow roof in pagoda style. It also contains exquisite murals that will take your breath away. 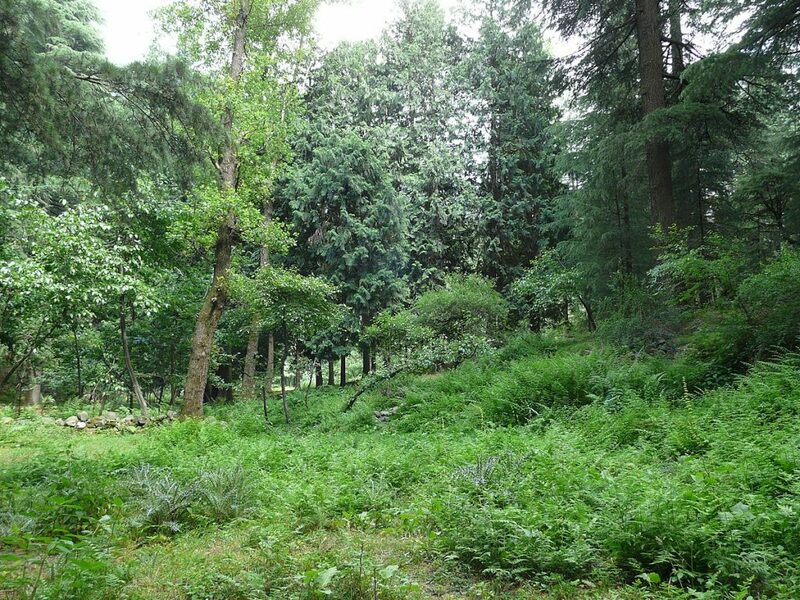 The Van Vihar National Park is a tourist attraction that is frequently visited by people traveling to Manali. It is very favorably situated on the Mall Road, and the entire national park is populated densely with countless deodar trees. These trees look majestic in the park and provide the visitors with a lot of natural shade to the entire area. The entire park has wooden as well as concrete benches for the convenience of the visitors. It is also the perfect place for visitors to enjoy a nice picnic as well as spend several moments of enviable repose with your loved ones. The Vashisht Hot Spring is elegantly situated right above the River Beas. It is 6 km from Manali and is a very small village that has gained a lot of attention and popularity throughout the world, thanks to its hot spring. These ponds of hot spring are situated right at the center of the small village. The water temperature of the “Kund” or water source can be anywhere between 110-degree Fahrenheit to 123-degrees Fahrenheit. Countless people visit this place for its hot springs. There is even a water tank that is solely reserved for women. The Rahalla Falls is an incredible result of some melting glaciers. This spot in Manali is extremely refreshing as visitors can enjoy the incredible view as well as bask in the cool trickle provided by the falls. It has also become a very famous tourist spot in Manali in no time. These waterfalls are situated at the height of 8500 ft. It is also a great picnic spot too as you can enjoy delicious food at an altitude while reveling in the majestic falls. This spot is also popular for its natural beauty, and it provides a clear and amazing view of the surroundings. 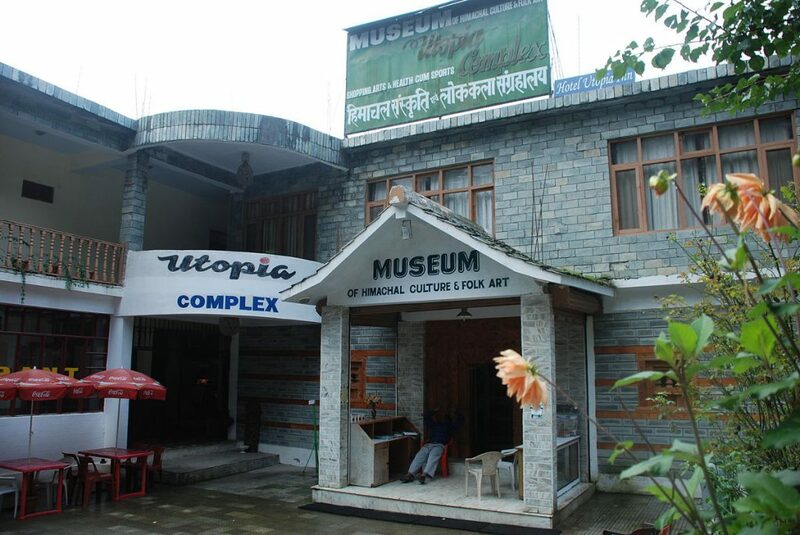 The Museum of Himachal Culture and Folk Art is a museum situated near Hadimba Temple. This museum can be regarded as an ideal place to learn all about the culture and history of the region. 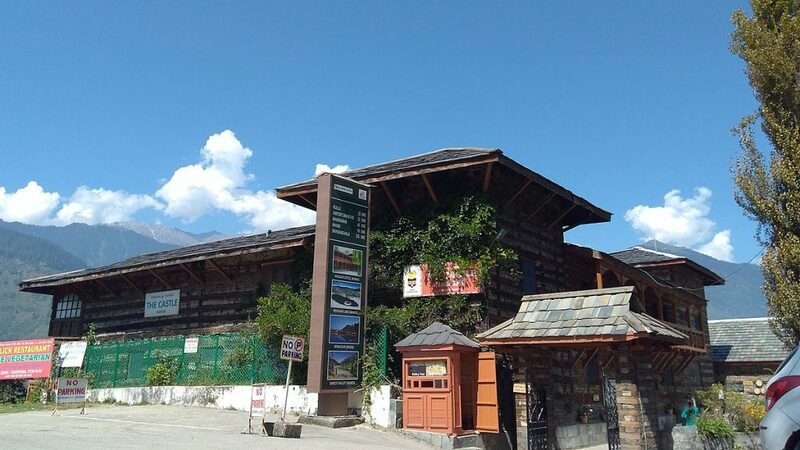 This museum is located near the Hadimba Mata temple and is visited for the vast amounts of information people can access here about the city of Manali and the state of Himachal Pradesh. If you are a museum kind of person who loves exploring new places through its history, this place is a definite must-visit. 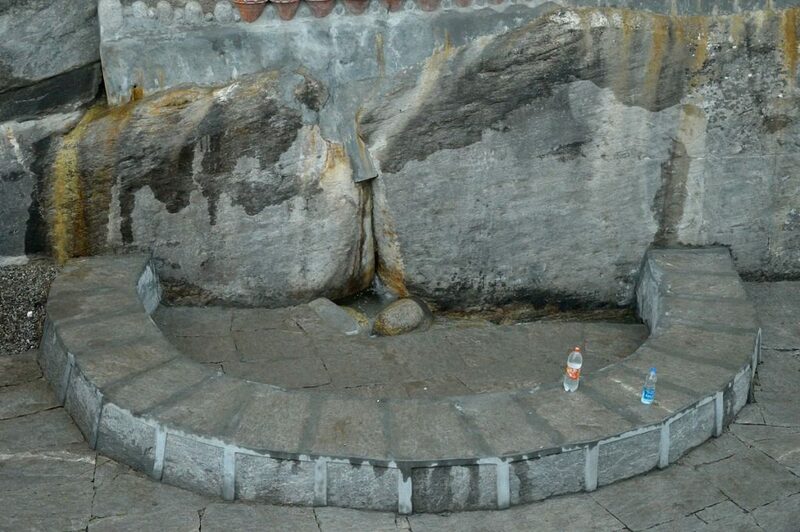 Beas Kund is a famous place because Rishi Vyas took a holy bath every single day in this Kund. Therefore, it is also quite famous from the religious point of view, and it is full of devotees all through the year. 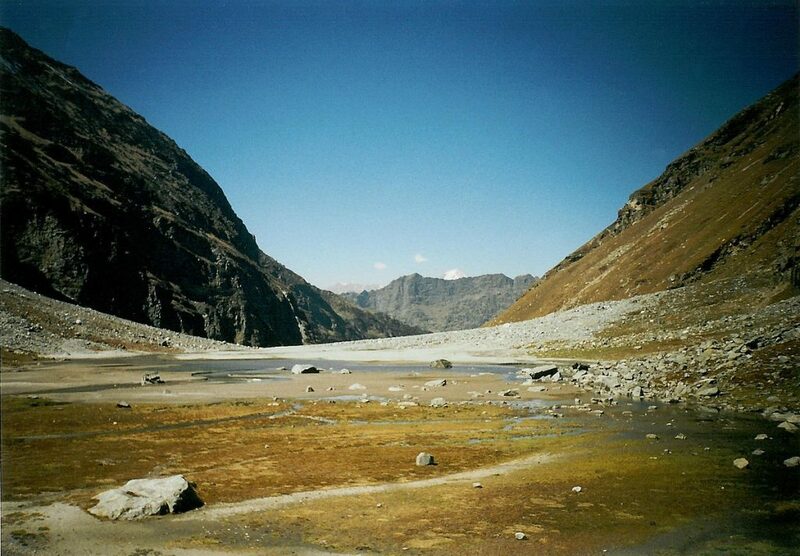 The Beas Kund is surrounded by lush green beauty that will take your breath away. You can also go for a trek around this area to enjoy its mesmerizing effect. You can visit this place with your family or friends and bask in the beauty of this stunning landscape. Malana is a very ancient village in the state of Himachal Pradesh in India. This tiny and solitary village is surrounded by shimmering and lush green snow-capped mountains that are symbolic of the Parvati Valley. This village seems like something straight out of a fairy tale and is packed with beautiful architecture and friendly people. When in Manali, you must definitely visit this village. Hampta Pass is a beautiful place in Manali that will take your breath away. You can go on a trek to this area to enjoy its magnificent beauty. 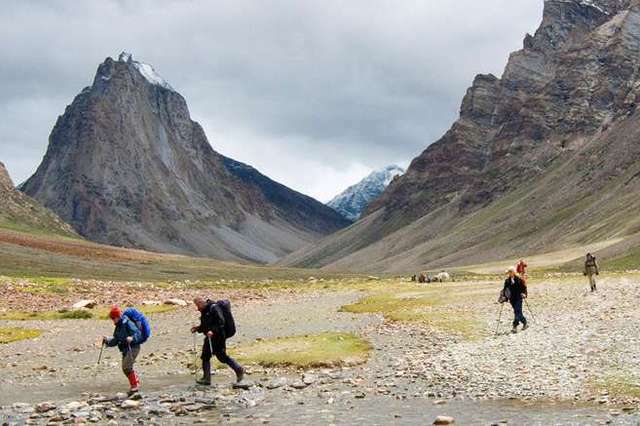 You can check out the Lahaul valley from here which is known for its bewitching beauty. The place is calm and serene and totally amidst nature. It is at the height of 4270 meters and takes a total of four days if you want to do the full trek. It is totally recommended because you get a panoramic view of the valleys around which is not possible without going through this arduous trek. 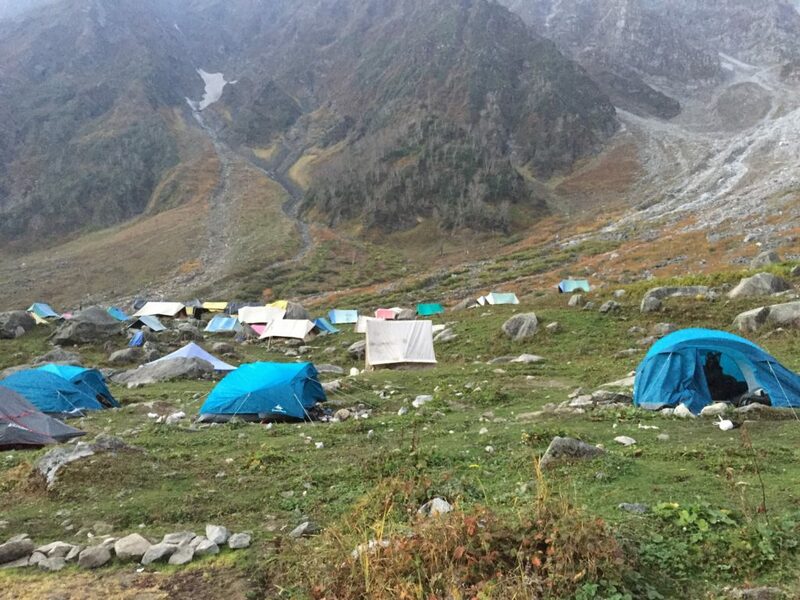 When you finally reach the destination, you will be mesmerized by the beauty, and you would know that the 4-day long trek is totally worth the effort. Dams never fail to offer an amazing view to the visitors. In this regard, Pandoh Dam takes the beauty to the next level. It is located in the Manali district and is a classy one built on the Beas River. This dam is in the middle of green hills, so it offers a great view to its visitors. It was built in the year 1977 with the purpose of generating electricity, but it soon became popular as a tourist spot amidst to get you some memorable pictures. So, if you are in Manali for a few days, you must visit this place to get some amazing shots. Naggar Castle is on the top of a small mountain and is an interesting historical sight to visit. It was built in the year 1460 by Raja Sigh Singh and is now converted into a heritage hotel by Himachal Tourism. The location of this castle is simply amazing because it offers a mind-blowing view of Kullu valley. It is also a paradise for all the artsy people because of its rich collection of paintings by the famous Russian painter named Nicolas Roerich. 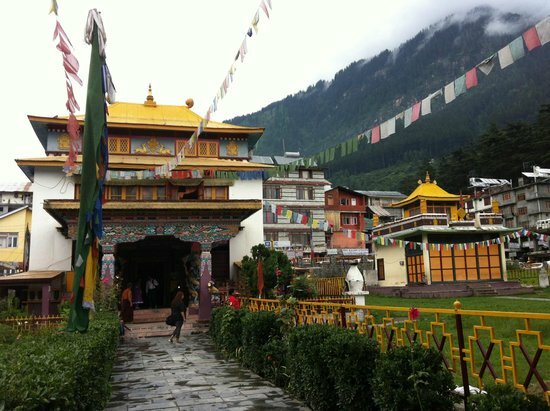 This is another Buddhist monastery that you are absolutely going to love when in Manali. 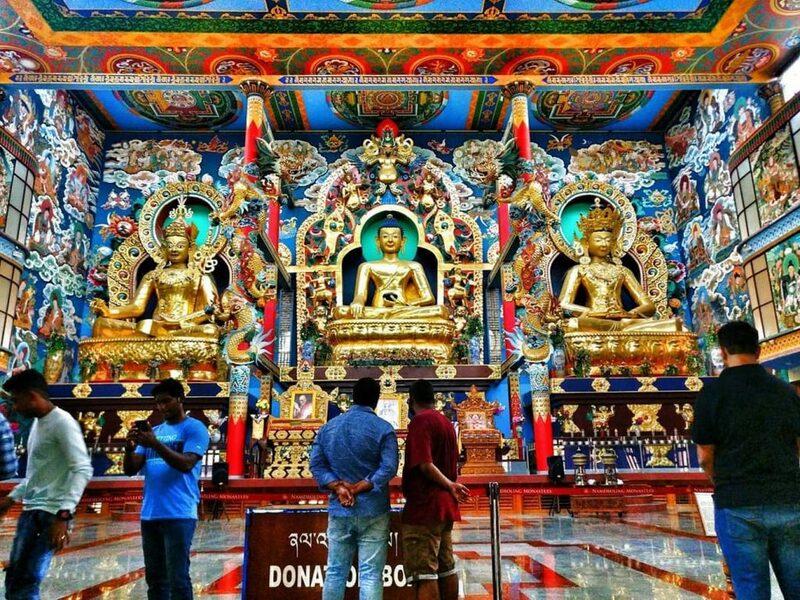 Visiting the Himalayan Nyingmapa Buddhist Temple is an experience in itself. The sheer amount of spirituality and relaxation you will experience in this monastery will be unparalleled to any experience you have had before. It is unarguably one of the most famous and well-known monasteries in the northern part of India and for excellent reason. 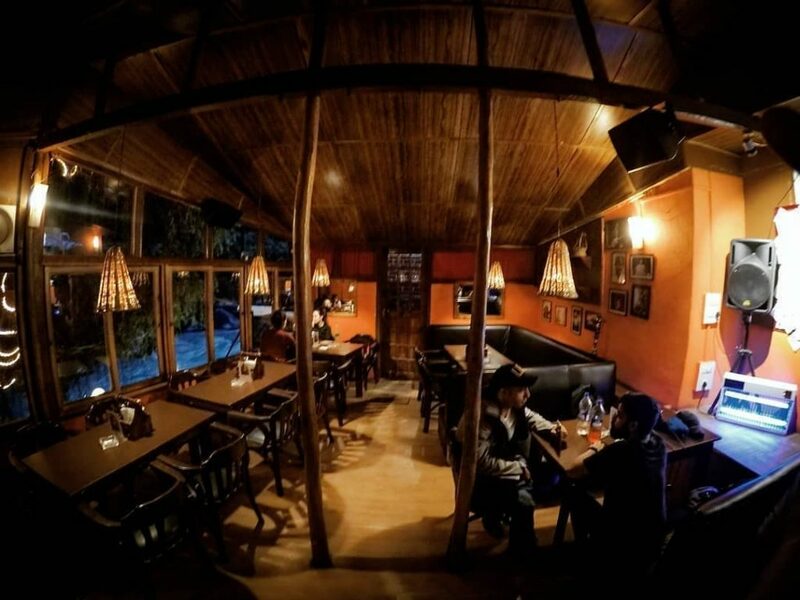 Cafe 1947 is one of the hip places in Manali. Hill stations are known for its amazing cafes,but this one is class apart. With amazing interiors and mouthwatering food, you definitely need to reserve one visit for this cafe in your itinerary. You can just chill in this place with a book in your hand and a hot cup of lemon or ginger tea. 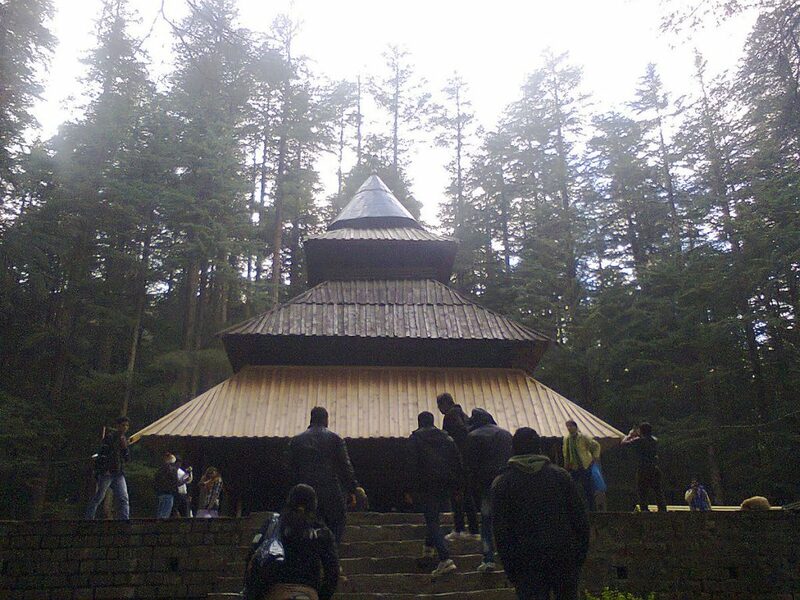 Manali has several interesting temples that will take you back in time. Manu temple is one of them. It is a temple dedicated to Sage Manu. Therefore, it holds immense significance for Hindus. 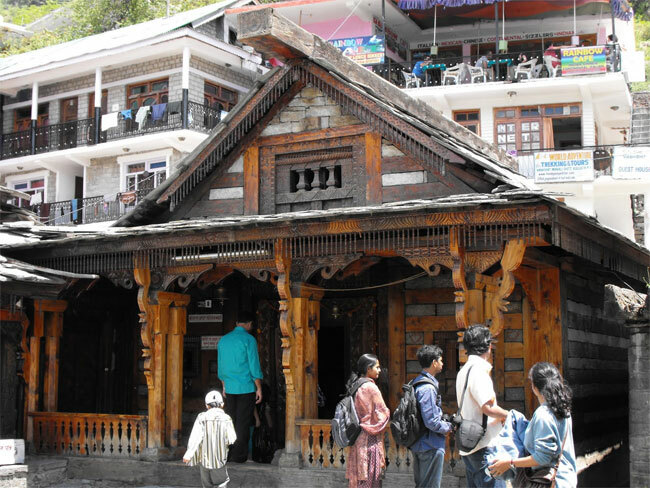 Located in Old Manali, this temple has many folktales about the establishment of this temple. You can learn about them when you pay a visit. It holds a lot of religious significance for Hindus, so a lot of pilgrims visit this place every year. Apart from the religious significance, you can visit this place for its beautiful architecture, carvings, and ancient vibe. It also attracts many tourists. So, you can totally add it to your list to get a glimpse of history. Also, it can be reached easily because it is located in Old Manali. 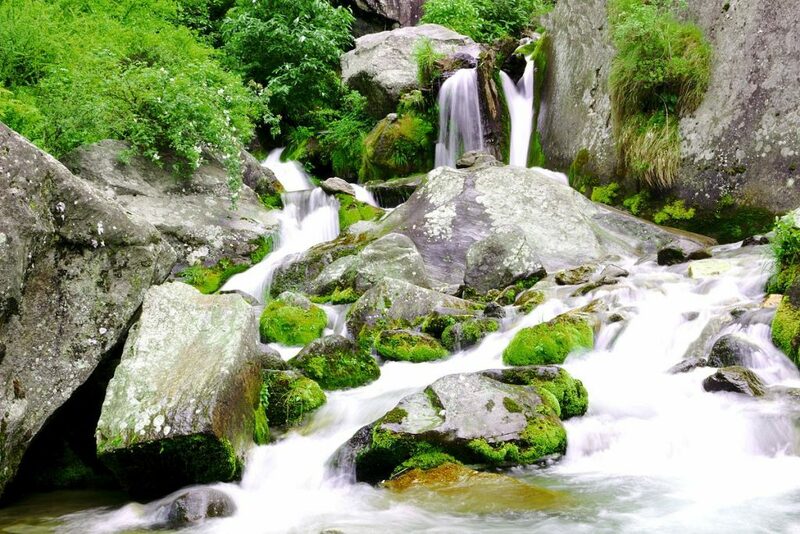 If you want to enjoy some easy treks around Manali, Jogni or Jugni Waterfalls is the place to go. 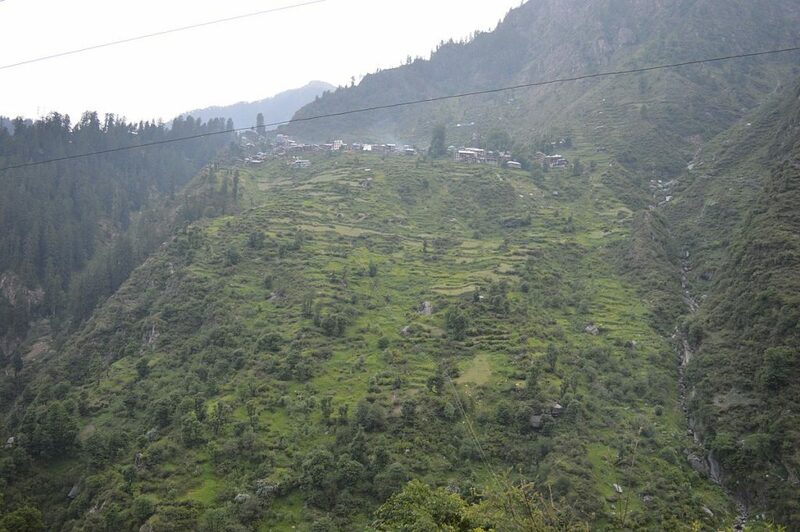 It is only 3 km from the central market of Manali, and you can reach this place directly by car or a bus. It is endowed with nature’s beauty and is one of most remote places in Manali. This is the reason the place has remained untouched. You can go there with your friends or family and enjoy a nice picnic. Visiting the beautiful hill station of Manali is an experience like no other. 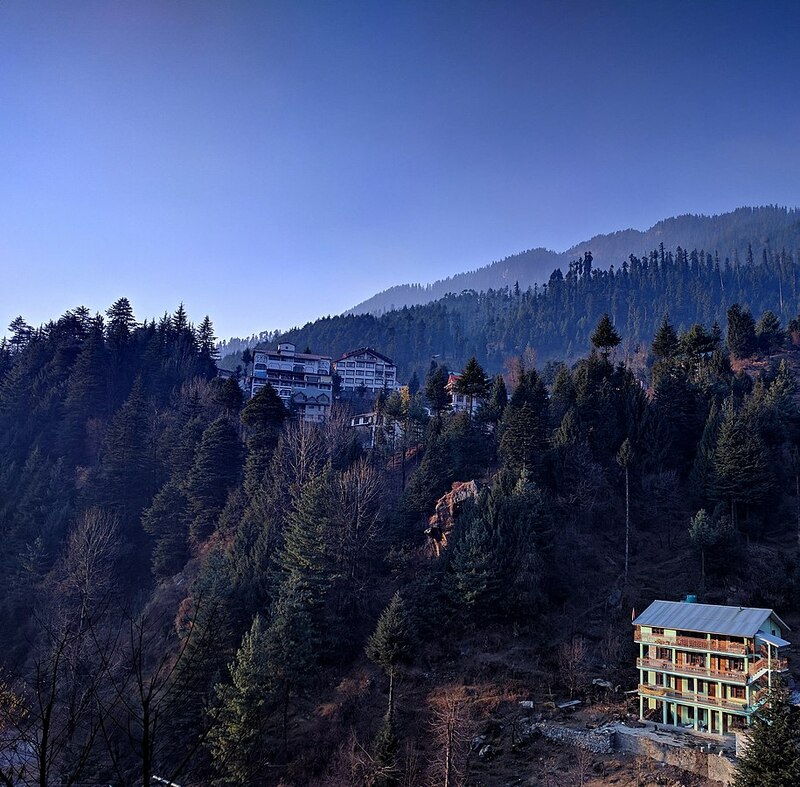 With snow-capped and lush green mountains, mesmerizing valleys, lush waterfalls, amazing monasteries and temples as well as plenty of hot springs, Manali has something to offer to everyone. You really have to see it to believe it. In addition to that, the cuisine of Himachal Pradesh is simply to die for! So, which of these places are you planning to visit on your next trip to Manali?